Thank you Patch Pals! My son has been patching for the last 3 years. We have always used an adhesive patch but recently my son expressed that the adhesive was bothering him, he was also sick of the same old patterns. So we decided to give fabric patching a try especially since he is up to 4 hours a day right now. 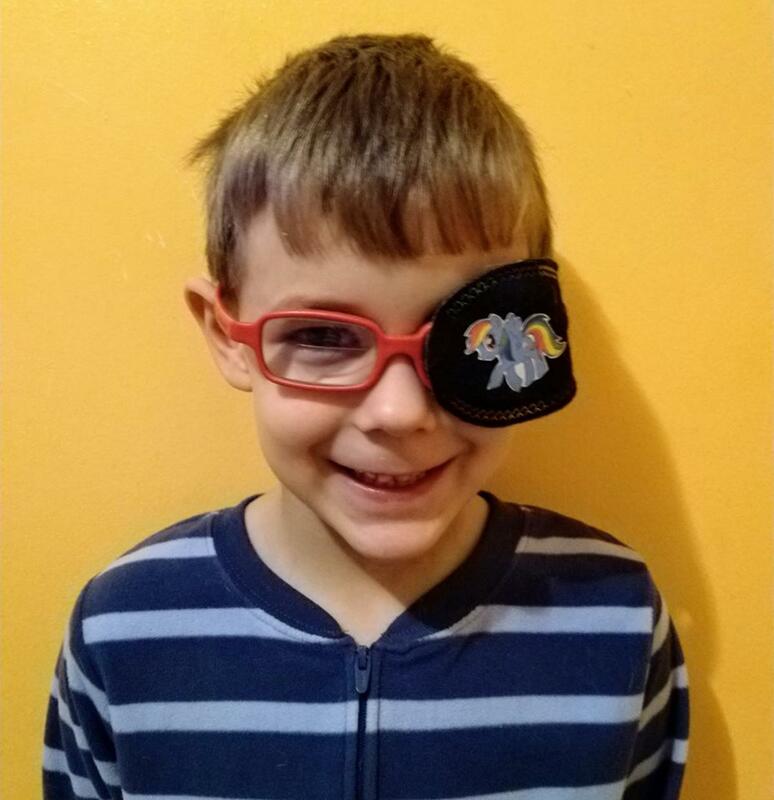 He loves his Rainbow Dash pocket patch, he says it is so soft and comfy. He likes it so much that last night I ordered 3 more pocket patches to give him variety!